A versatile shoe that fits the bill for men, women, boys and girls; part of their Originals range, the 1461 is a staple of DM's balance between style and comfort. 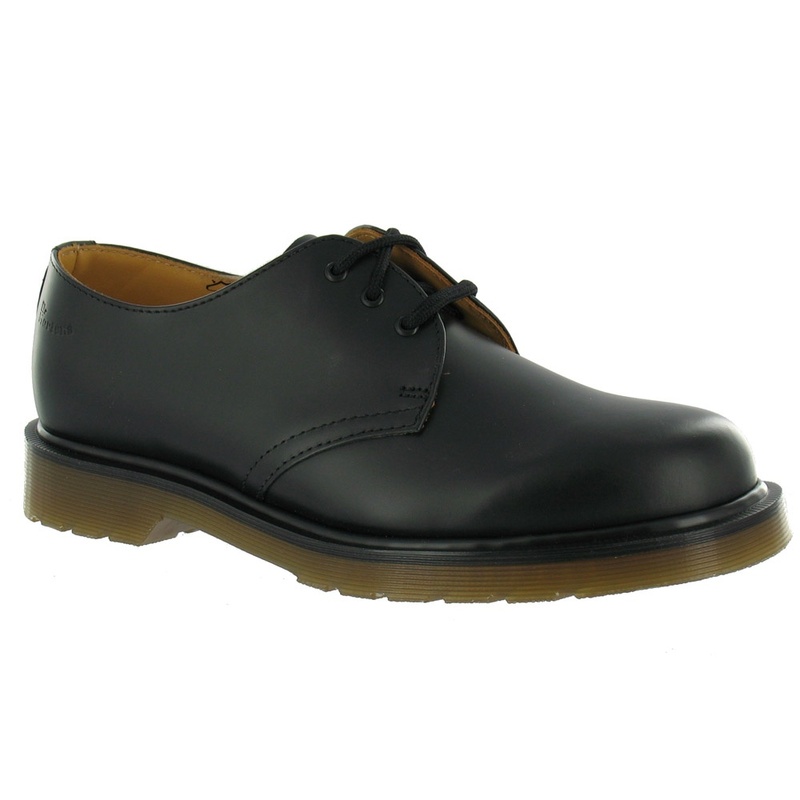 With a smooth leather upper and rounded toe, the 1461 plain welted unisex shoe has Dr Martens' trademark air-cushioned sole unit. The shoe is finished with a three eyelet metal ring lace-up that provide extended durability during everyday wear.